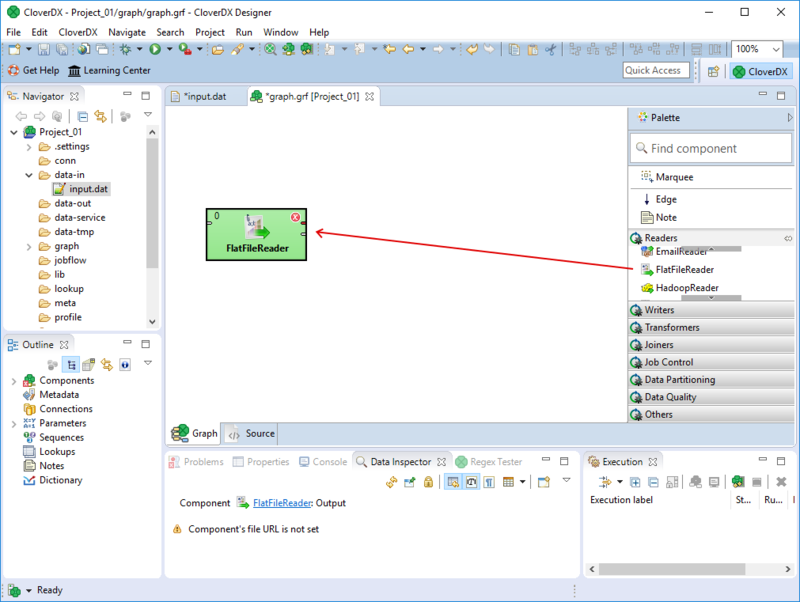 To create a graph, select right components from Palette of Components and place them in the Graph Editor pane. 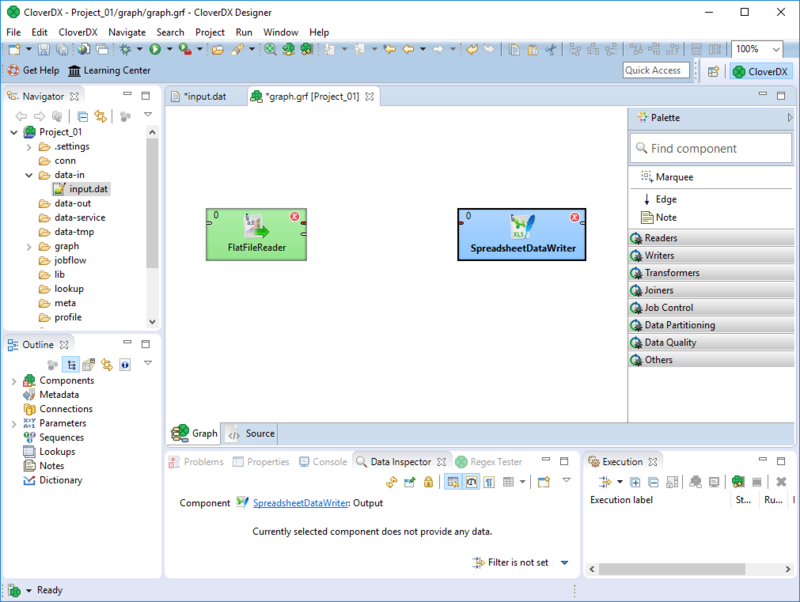 Palette of Components on the right side of the Graph Editor pane. If Palette is not displayed, click an arrow in the right top of the Graph Editor pane. This way the Palette will remain opened until you fold it. Find FlatFileReader label in the Palette among Readers. 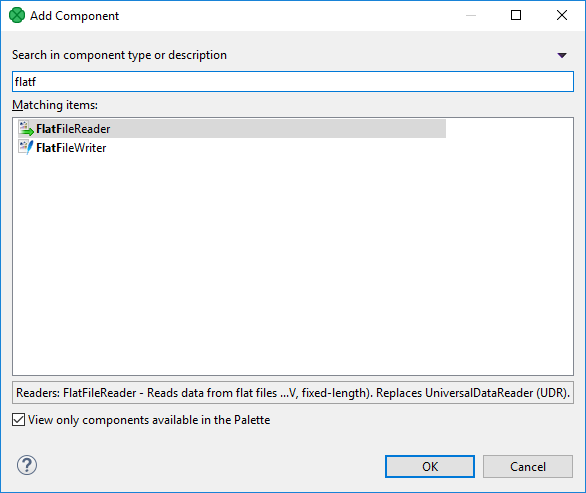 Drag FlatFileReader from Palette into Graph Editor pane. Do the same with the SpreadsheetDataWriter component from Writers. Put these components in the Graph Editor from left to right. If you know the component name, you can add component using Add Component dialog. 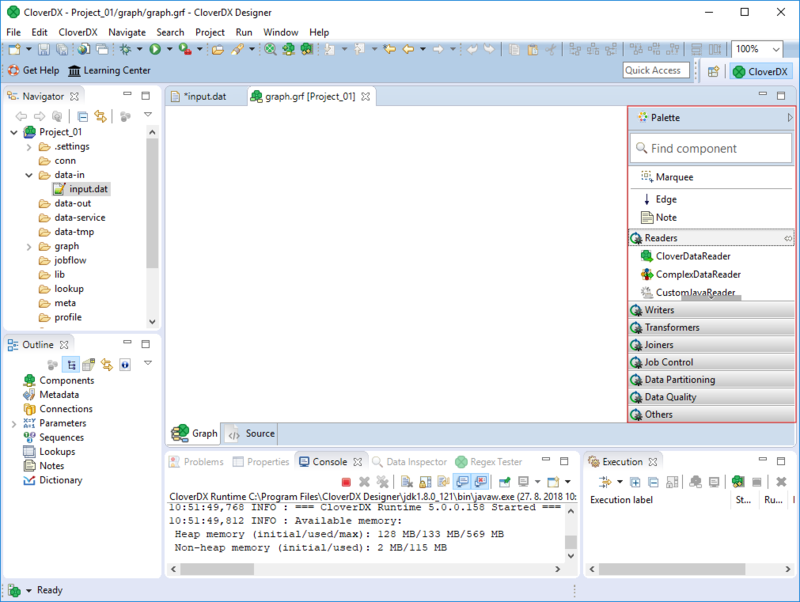 Press Shift+Space within graph editor and start typing the name.